1 There is no legal or governmental definition of 'craft' brewery. 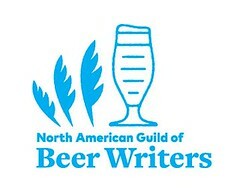 However, the (U.S.) Brewers Association does define it, for purposes of membership, as "small, independent, and traditional": here. The results of the 2014 competition: here. The Virginia Craft Brewers Guild does not maintain a listing a events for Virginia Craft Beer Month. 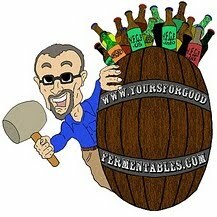 For that: Virginia Beer Trail is an excellent resource, not affiliated with the Guild. Look for events with the tag, Virginia Craft Beer Month. Or, if you're a brewery or pub or venue celebrating Virginia Craft Beer Month with an event(s), post an announcement at that site. There is no official logo for Virginia Craft Beer Month. The artwork above was created a few years ago by the Virginia Tourism Corporation, a government/private business entity. It has a list of this year's events at its blog: here. 2 The Virginia ABC (Virginia Department of Alcoholic Beverage Control) maintains a list of breweries operating in Virginia (that is, paying taxes and licensing fees). As of August 2015, there were 125. In 2014, there were 83; in 2013, 50. For a list of those breweries that have active Twitter accounts in Virginia (and Maryland and Washington, D.C.): go here.